James Bond actor Daniel Craig's Aston Martin, numbered with the character's signature 007, sold at auction Friday for $468,500. Christie's, which announced results of the bidding, had estimated the limited-edition midnight blue 2014 Centenary Edition Vanquish would fetch $400,000-$600,000. All proceeds from the sale will benefit The Opportunity Network, a charity helping under-served youths develop their careers. 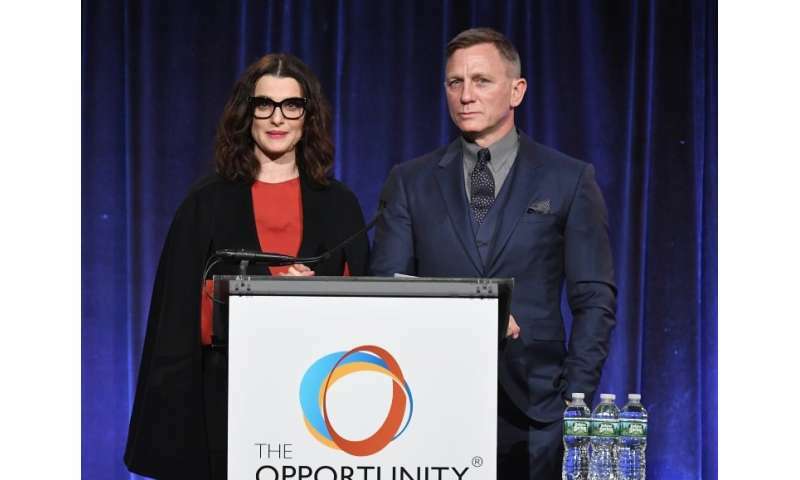 Both Craig and his wife, actress Rachel Weisz, sit on the charity's board. Craig made a surprise appearance during the auction, joining the Christie's team to encourage a client to bid higher. The car, which has a top speed of 183 miles (295 kilometers) per hour, is part of a series of just 100 which Aston Martin created in 2014 to celebrate the firm's 100th anniversary. It is made of a lightweight bonded aluminum structure and motorsport-inspired carbon-fiber exterior. The handcrafted interior includes luxury leathers, carbon fiber and aluminum.